One main difference between Apple CarPlay and Google Android Auto is that the latter locks you out of your smartphone. In other words, when connected to a compatible head unit, you won't be able to use your Android smartphone for any tasks other than Android Auto. If you are familiar with CarPlay, it launches automatically when connected to a compatible head unit like Pioneer NEX. The iPhone needs to be unlocked though. This is fine because you can still press the home button on your iPhone and use it for other things (like checking the weather before you start driving). The CarPlay homescreen will continue to be displayed on the head unit. With Android Auto you are out of luck. 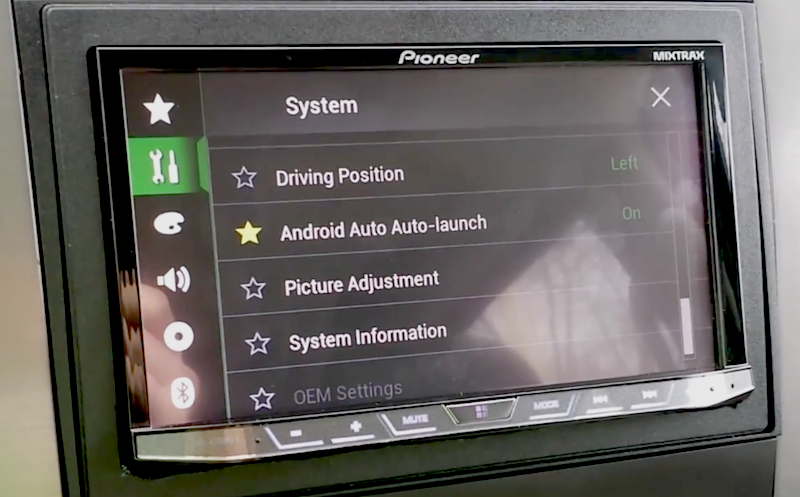 But Pioneer has added a smart toggle setting for users to their second generation NEX devices which will allow you to launch Android Auto only when you want to. The NEX software allows you to turn off Android Auto Auto-launch in the settings menu. This way when you connect your phone to the head unit, it is still usable for things that aren't available in Android Auto. How to turn off Android Auto Auto-launch on Pioneer NEX: Click on 'Settings' on the NEX menu and find 'System Settings'. Scroll all the way down to find 'Android Auto Auto-launch' and toggle it ON or OFF as required. You can favorite the toggle option to easily access it from your favorites menu. Android Auto has many more third-party apps that are compatible compared to CarPlay. So the need to turn off Auto-launch may not arise if you can use the app in Android Auto itself. Still, it's a useful option to have.